The Christmas buzz is certainly in the air! Lights glimmer along rooftops at nighttime, stores are decorated to the nines with all the festive colours and sparkles, Christmas music can be heard at the mall and those delicious mandarin oranges are already on sale at the grocery store! And it is only November 20th! But before any of these early glimpses of Christmas caught my eye, it was actually the sight of a ruby red bin of pomegranates at the grocery store back in October which sparked the first thoughts of Christmas for me! Cliche? Perhaps. But I’m a dietitian, so what do you expect?! I get excited about vegetables and fruit and anything else in the produce department! These sweet friends of mine are in season approximately October through to January and so for the few months that they are available I like to capitalize on their oh-so-sweet little pop-in-your-mouth pearls of deliciousness! Let’s sort through some of the facts. Pomegranates are a rich source of antioxidants and regular consumption can prevent cancer. Antioxidants are natural (or man-made) substances that can prevent or delay some types of cell damage. Cellular damage can ultimately lead to chronic diseases and conditions such as cancer, type 2 diabetes and heart disease. So incorporating lots of antioxidant-rich foods into our diet is a good thing. You will likely get sick and tired of me talking about antioxidants when discussing whole foods, especially fruits and vegetables, but pomegranates are full of them and the specific type of antioxidants that are responsible for the pomegranate’s anti-inflammatory and anti-cancer properties, among other beneficial physiological effects, are the polyphenols. 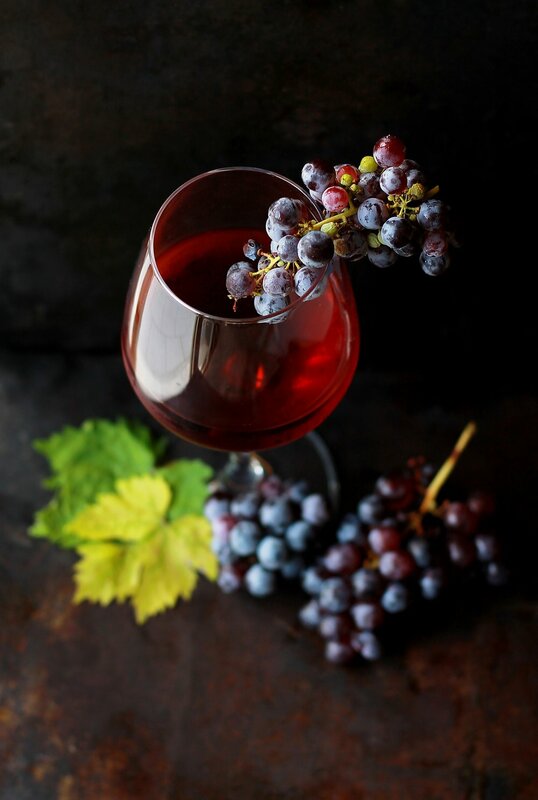 We also know from research conducted in the past that pomegranate juice has an antioxidant activity that is three times greater than green tea or red wine. Although, we cannot forget that that green tea has no sugar content vs. pomegranate juice and red wine! However, don’t expect that drinking pomegranate juice will keep cancer away on its own. It is still more important to eat a nutritious, plant-based diet, (i.e. Mediterranean Diet) vs. ordering pizza with a side of pomegranate juice. Pomegranates can help combat many chronic conditions including heart disease, diabetes and obesity. The research on the “superpowers” of pomegranates aren’t clear cut at this point. For example, a recent randomized, double-blinded, placebo-controlled study (which is the gold standard for study design) looked at the effect of 30 days of pomegranate extract supplementation (1000 mg daily) vs. a placebo on inflammatory and oxidative stress markers, as well as markers of metabolic health in a population of 48 overweight and obese individuals. After 30 days of supplementation, the pomegranate extract group had a significant decrease in levels of blood glucose, insulin, total cholesterol, LDL cholesterol (bad cholesterol) and other inflammatory markers, as well as a significant increase in HDL cholesterol (good cholesterol) vs. the placebo group. In short, these were all good outcomes. However, two recent meta-analyses (where they combine the results of multiple studies, in this case, of human clinical trials) did not make national news headlines when they showed NO effect of pomegranate consumption on cholesterol levels and no significant effect on blood plasma levels of C-reactive protein (CRP), which is a systemic marker of inflammation and strong predictor of cardiovascular disease. Henceforth, the dilemma (which is not uncommon to nutrition/dietary research) when trying to arrive at any clear conclusions. Some studies hint at "yes" and others "no". When researchers study pomegranates, they use laboratory-produced pomegranate juice, pomegranate extracts (powder form) or pomegranate seed oil. These will vary in strength from the way in which they are produced and/or the parts of the fruit used, so it is hard to compare apples to apples, or should I say "pomegranates to pomegranates" :) And then there is the huge difference between the research methods employed, including study design, duration, population, statistical analysis etc. One cannot take news headlines at face value, especially when it comes time to nutritional/dietary research! 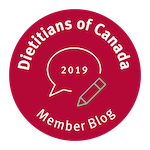 Seek out the expertise and experience of a registered dietitian to help you sort through it all! That’s our job! You may be able to get rich off pomegranate compost. Pomegranates are a rich source of antioxidants and should definitely have a place in your diet when they are in season. Choose the seeds over the juice to give you more fibre (i.e. 3.5 grams of fibre from ½ cup of seeds vs. 0 grams of fibre from ½ cup of pure juice). Enjoy them, eat them, love them … just don’t expect them to cure you of your aliments! Look for a firm pomegranate. The heavier it is, the juicier it will be. Pomegranates keep well on the countertop for about a month and in the refrigerator for about two months. Pomegranate seeds can also be frozen! Simply spread them out on in a single layer on a cookie sheet lined with parchment paper, wait about an hour until the seeds are frozen. (This step helps to ensure that the seeds don’t clump together and that you can remove just a few at a time if desired.) Transfer frozen seeds into a freezer safe bag. Get a full coverage apron on before you do this if you don’t want to stain your clothes! Pull apart each section and pop the seeds out. Doing this over a bowl of water will help to catch any run-away seeds so they don’t end up smooshed on your floor! The water naturally helps to separate the seeds from the bitter white membrane too. You can use them so many different ways. In fact, one need only perform a quick internet search for “pomegranate recipes” and you will be flooded with different ideas for incorporating them into the diet. Sprinkle on your salads, oatmeal or cereal, layer in your yogurt or chia seed pudding parfaits, serve as a colorful addition on a Charcuterie board (great for holiday entertaining), serve alongside any poultry dish, mix it in with your rice or quinoa pilaf or add to sparkling water for a treat! Stay tuned to the blog for my Festive Green Leaf Pomegranate salad recipe coming this week! It is a staple on our holiday table at Christmas and should be on yours as well! In the meantime, substitute a fistful of pomegranate seeds this week for your standard fruit fare (i.e. orange, apple or banana) and be "wowed" by their "oh-so-sweet little pop-in-your-mouth pearls of deliciousness!" M.I. Gil, F.A. Tomás-Barberán, B. Hess-Pierce, et al. Antioxidant activity of pomegranate juice and its relationship with phenolic com- position and processing. J. Agric. Food Chem. 2000 48, 4581–4589. Hosseini, A. Saedisomeolia, L.G. Wood, et al. Effects of pomegranate extract supplementation on inflammation in overweight and obese individuals: A randomized controlled clinical trial. Complementary Therapies in Clinical Practice. 2016 22:44-50. A. Sahebkar, C. Gurban, A. Serban, et al. Effects of supplementation with pomegranate juice on plasma C-reactive protein concentrations: A systematic review and meta-analysis of randomized controlled trials. Phytomedicine. 2016, 1095-1102. A. Sahebkar, L.E. Simental-Mendia, P. Giorgini, et al. Lipid profile changes after pomegranate consumption: A systematic review and meta-analysis of randomized controlled trials. Phytomedicine. 2016, 1103-1112. P. Ambigaipalan, A. Costa de Camargo, F. Shahidi. Phenolic Compounds of Pomegranate Byproducts (Outer Skin, Mesocarp, Divider Membrane) and Their Antioxidant Activities. Journal of Agricultural Food Chemistry. 2016, 64, 6584−6604.